Carefully selected, well-developed linseeds of the best class. In order to obtain the highest quality, the seeds undergo the processes of gravitational cleaning, selecting and optical sorting. Separators and air curtains are used during the production processes, thanks to which Melbake’s linseeds are characterised by purity of at least 99.80%. While stored in appropriate conditions, the product maintains the natural taste and scent for the period of 24 months. 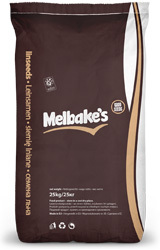 Melbake’s linseeds are distinguished by the high quality and repeatability of each lot. ROS-SWEET offer also includes golden linseeds. The product is available in packages of 25 kg. Linseed is known for its nutritious and medicinal properties. It contains omega-3 and omega-6 polyunsaturated fatty acids, proteins and mineral substances such as calcium, zinc, magnesium, iron, potassium, manganese and copper. 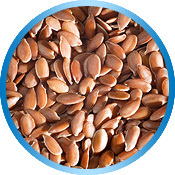 The linseed is also a rich source of fibre, vitamins B1, B6, PP, E, foil acid and pantothenic acid. The chemical compounds included in the linseed are thought to be one of the most effective anti-inflammatory compounds. They also prove antibacterial, protecting and laxative properties. Additionally, they speed up wound healing and protect against a heart attack and a coronary arterial disease. They can be also used preventively to ensure the correct functioning of intestines.